If you were offered $9 in exchange for $1, would you take the deal? The vast majority of us would say yes. That is the offer on the table in Proposition 3 — and better yet, the investment in Proposition 3 pays dividends, too. 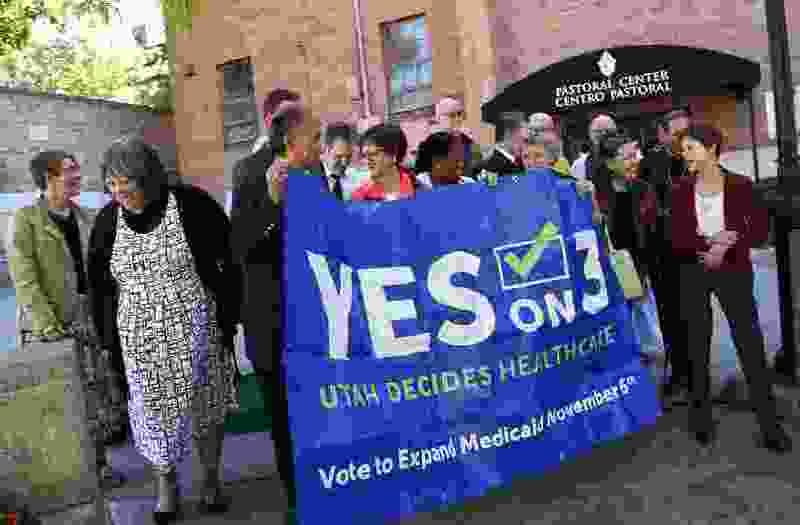 Proposition 3, the initiative to expand Medicaid, is a prudent, long-term investment in Utah. It represents an investment in our state’s greatest asset: our people, our workforce. For too long, thousands of our friends, family and neighbors have gone without health coverage. Too many Utahns have avoided or delayed seeking care. Too many Utahns have filed bankruptcy due to medical bills. And when a large part of our workforce is grappling with unresolved health care problems or crippling debt, they are not working at their full potential. So our entire economy suffers. Proposition 3 not only brings $800 million (annually) in our taxpayer dollars back to the state, it promotes a healthier workforce, which means a more sustainable workforce. Thirty-two states that have already expanded Medicaid are ahead of Utah. They have lower uninsured rates, and as a direct result, they have a healthier workforce. Much as we need to invest in infrastructure and education, we need to invest in the health care of Utahns. Utah’s economy and our economic competitiveness depend on it. Since Jan. 1, 2014, Utah has rejected returning around $1.4 billion back to the state. We can’t afford to ship another dime off to Washington, D.C., and get nothing in return. Vote “yes” on Proposition 3.